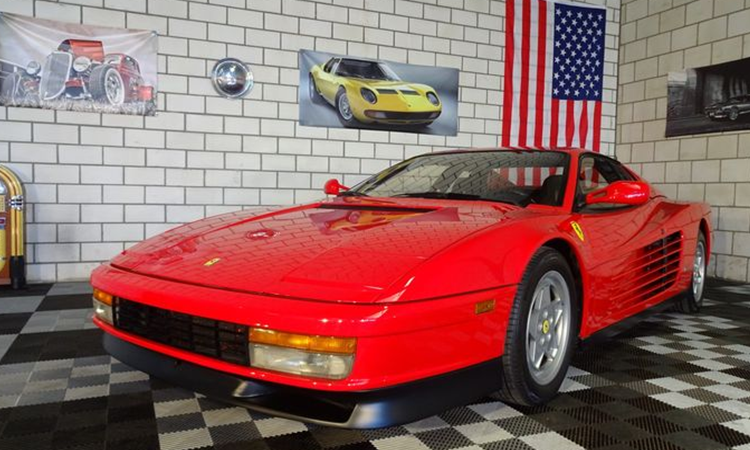 Red might be the color of love, but what's really got our engines revving this February is Catawiki's Ferrari Classic car sale. Next year, Ferrari will celebrate 70 years since Enzo Ferrari founded the car manufacturer in 1947 in Maranello, Italy. This sale will give pistonheads a chance to own a piece of supercar history. The name Ferrari conjures up images of a red car, so why is the color emblematic of the Italian manufacturer? At the time of Ferarri's inception, cars were painted in different colors in accordance to their country of origin. The established code by the former International Automobile Federation (FIA) was as follows: the vehicles had to be blue for France, green for England and white for Germany and ... red for Italy! Contrary to the rumors, Enzo Ferrari was not a fan of rouge. More than 40 red varieties have emerged since the creation of the brand: scuderia, alfa romeo, roma, burgundy, cherry, monza, vivo, etc. The only element of color to have never changed on the Ferrari car is the symbol of the black horse on a yellow background. Check out a selection from the sale above. Search Catawiki on Barnebys here.